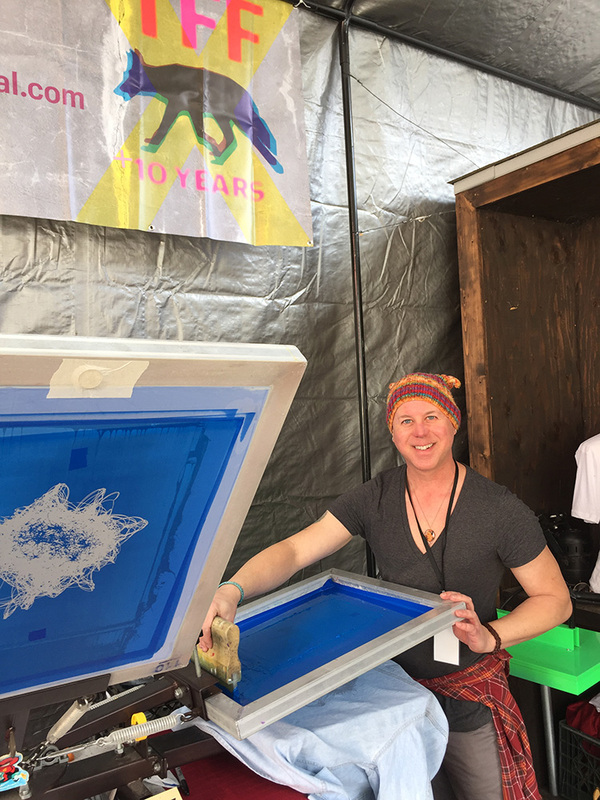 This year is keeping us busy right out of the gate, and February 10-13 found us printing t-shirts live at the Topanga Film Festival. This was our fourth year printing at this festival! They keep asking us back and who are we to argue? We have it mostly down to a science. We get our equipment set up lickety-split and we’re usually doing our first test prints about 40 minutes after arriving. The only part of the science we didn’t have down this time was the weather. Even with my control freak nature turned up to 11, I couldn’t command the skies to clear and we spent our first day at the event trying to keep warm and dry (It Never Rains in Southern California). Even with the rain, the festival drew a good crowd checking out the VR stations, the bar, panels and of course watching what we were up to. One of the cool things about printing in front of a crowd is that in the lull between event programs there’s still something for attendees to see. This was the festival where we started our live printing extravaganza. 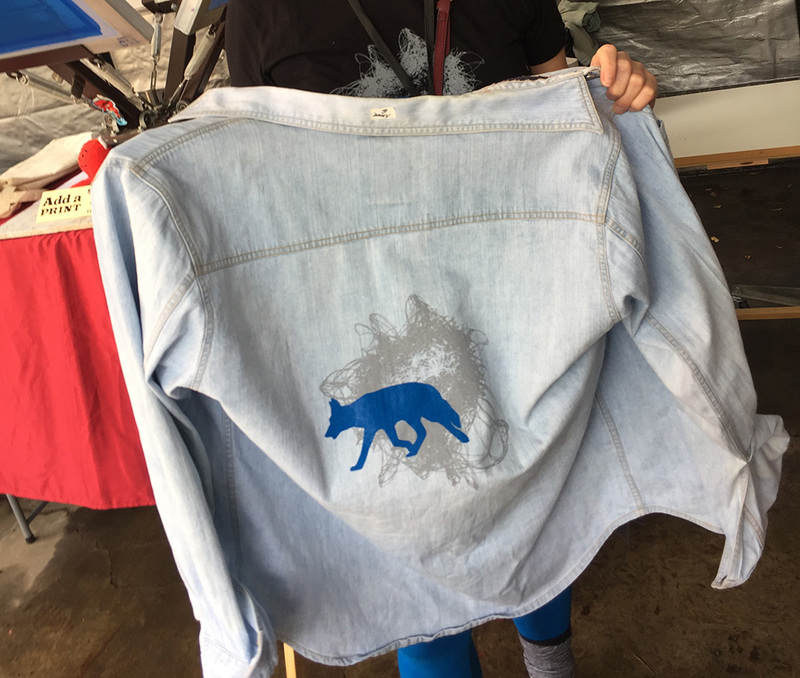 Printing on blank tees is way cool, but what’s super unique and kinda crazy is when we print on the guests’ clothes. Some people who already know us and know the drill will bring a shirt or pants with them. Others decide on the fly and well, the clothes do have to come off for us to print on them. Even with the wet and cold February weather, a few people did strip. 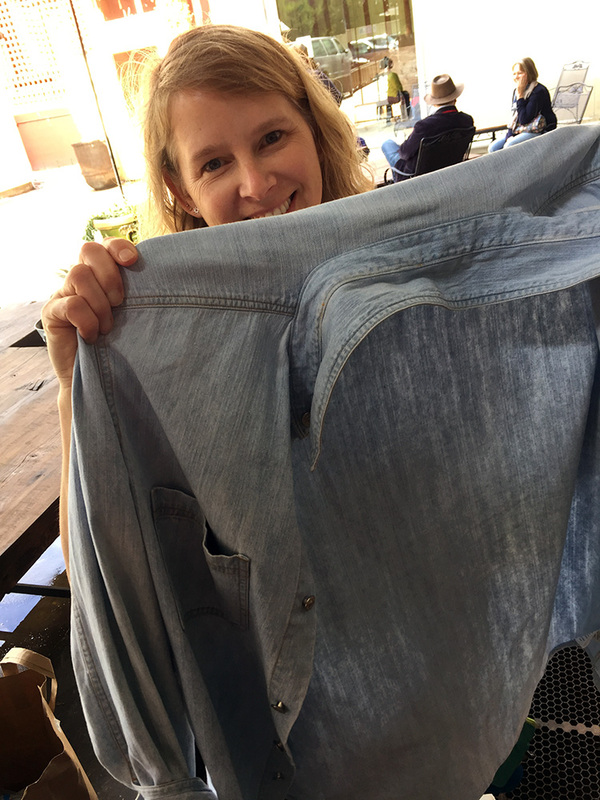 It must a vibe that Jenni and I give off, people are extremely comfortable doffing their garments for us. Have press, will travel. Thanks to the Topanga Film Institute for having us out again!